It may have taken her 19 starts to break her maiden but Paradanza’s star continues to shine after saluting at Cranbourne this afternoon for Mornington-based trainer Tony Noonan in the Procon Developments BM64 Handicap over 2080m. “It’s fantastic for her owners who have been unbelievably patient with this mare,” Noonan said after the win. 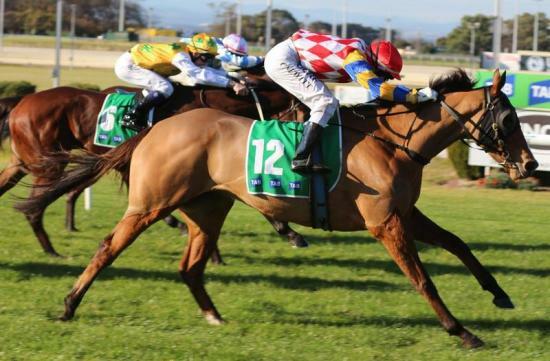 The win continued the 5-year-old Danehill Dancer mare’s excellent record at Cranbourne where she broke her maiden two stars back when winning by 5 lengths. Ridden quietly towards the tail of the field under Craig Newitt, a hot tempo up front aided Paradanza who Newitt put to sleep down the back straight. As the pace softened 1000m out, Newitt gradually crept Paradanza into the race but was forced to angle 5-wide through the bend. With a full tank of gas, Paradanza ($5) circled the field to balance up towards the outside rail and unleashed a monstrous turn of foot to score by 0.75L from Aldolphin ($8) and Coup Badger ($10) in third.